Cairns Offshore Charging out of our home base in Cairns – Yorkeys Knob Marina, experience the best the Great Barrier Reef has to offer. There are several locations we visit depending on the weather, time of year, and species you want to target. Expect good numbers of GT’s, dogtooth tuna, black marlin, red emperor, nannygai, trout, and many other incredible species that call the reef home. 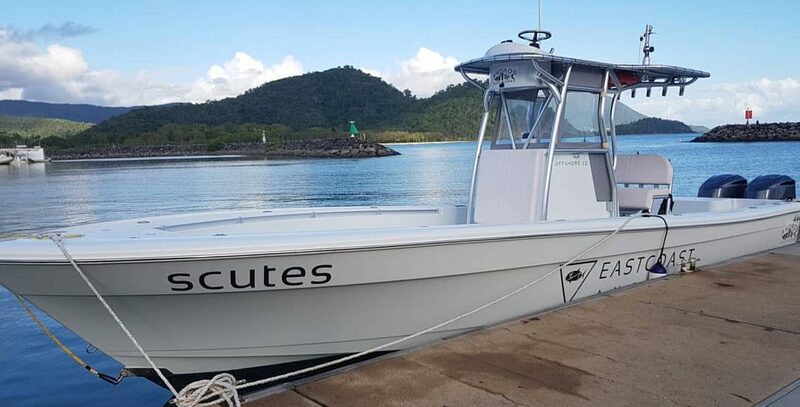 We depart each morning from Yorkey’s Knob Marina at 6.30am and will have you out on the reef faster than any other operator which means more time on the water fishing! 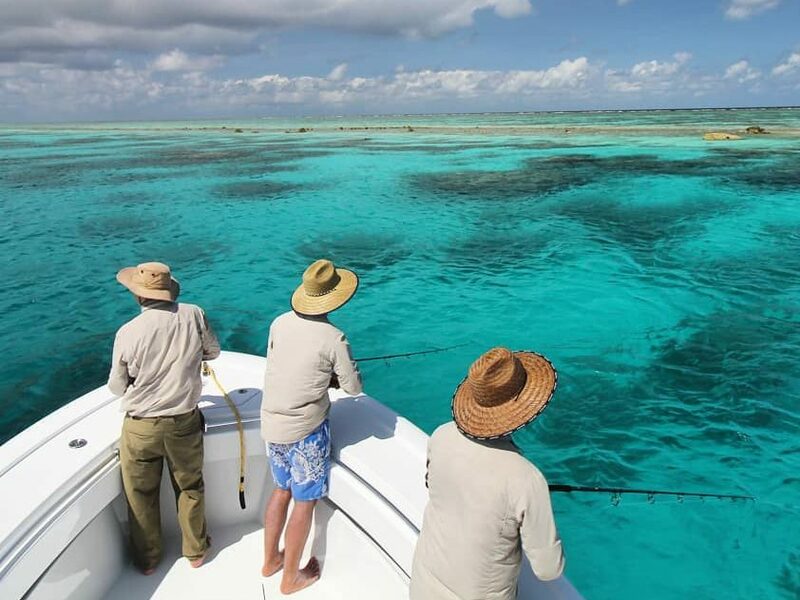 After a full days fishing, a delicious packed lunch and even a swim off a stunning Sand Cay if you like we would start to head back in at 4pm getting you back to the marina by 4:30pm. Cooktown Offshore / Ribbon Reefs Fly into the historical city of Cooktown where a shuttle will be waiting for you to take you to your hotel. 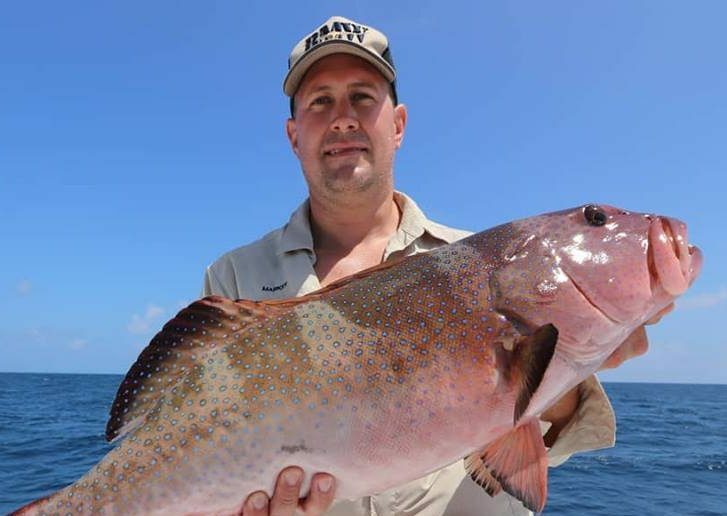 Once you arrive at your hotel you will be contacted by Nick that afternoon who will meet up with you that evening and give you a rundown of the weather and fishing plans for the week ahead. The next 5 days are full fishing days out on the reef. We aim to leave the wharf around 07h00 each morning after breakfast and are back around 16h30 in the afternoons. We take a packed lunch with us during the day, and an esky with soft drinks and water. If you would like beer added to this, we can make sure it is onboard before departure if it is pre-arranged. We will choose our fishing locations based on which area has been most productive over the last few days and whichever is inline with what species you want to catch and what style of fishing you wish to do. When we return in the afternoons you can retreat to the comfort of your accommodation and rest up for the following day of fishing. On the last day a shuttle will be waiting to collect you from your accommodation and take you to the airport in time for your flight. Hinchinbrook Offshore Located 2 hours south of Cairns, Hinchinbrook is one of the hidden gems of the far north. While the fruitful inshore waterways are home to Barra, Permit, Queenies, and a spectacular array of other inshore species. We will be heading to the offshore grounds, expect some seriously big fish. 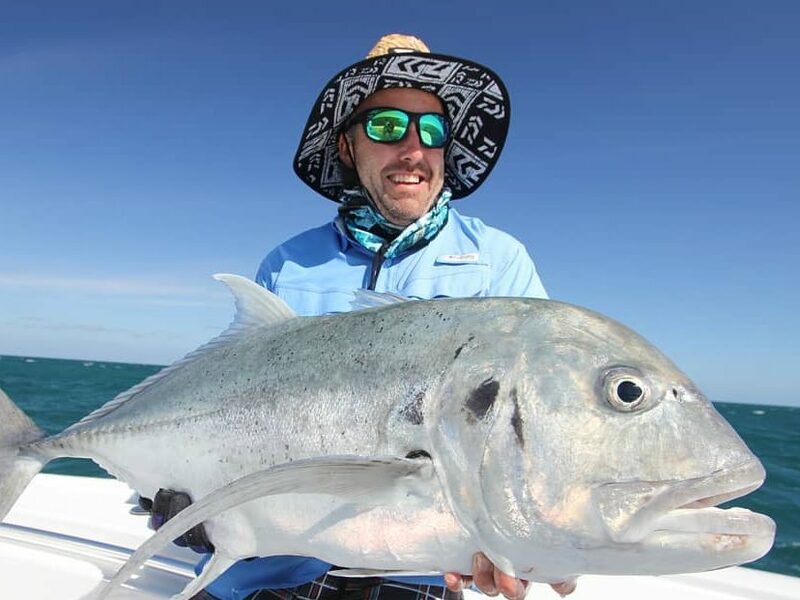 We make our way to the outer reef each morning in search of your target species – take your pick of giant trevally, tuna, trout, nannygai, red emperor or Spanish mackerel. In the evenings, return to the luxury and comfort of the Australian Flyfishing Outfitters Lodge. Overlooking the water, the AFO Lodge offers breathtaking views of the Hinchinbrook area and is only minutes from the launch site, so you can make the most of this stunning place both on and off the water.